Do you ever see something that you never knew existed and wonder how you ever lived without it? Okay maybe that’s just me, but that’s how I feel about this project from Lego Ideas. A 40cm Lego minifigure!! Oh and by the way – it’s poseable!!! It does remind me a bit of this guy – can’t you just imagine him slowly hulking through Lego City!? All joking aside this is a great idea, and it’s been executed really well. While I’m sure there’s plenty of us AFOL’s who love seeing Lego builds dotted throughout the house, Lego as an object d’art isn’t for everyone – however, this Maxifigure has enough presence to bridge the gap from toy to ornament. 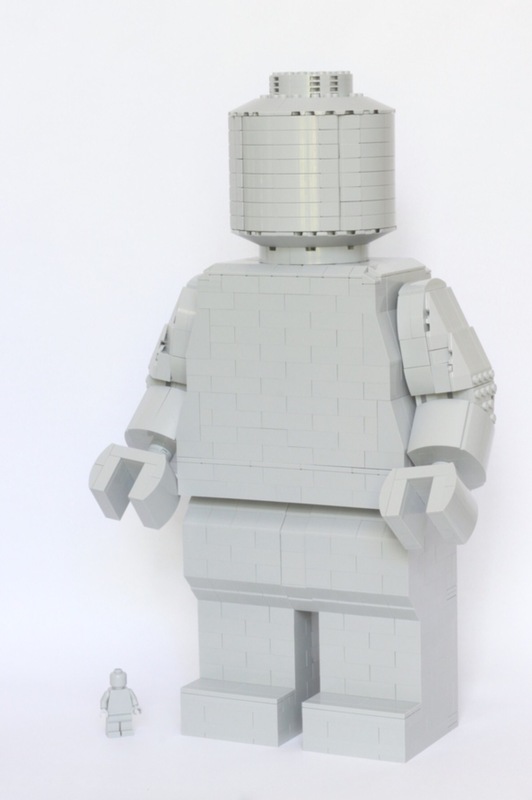 For all you minifig collectors out there – a large brick build Lego minifigure! 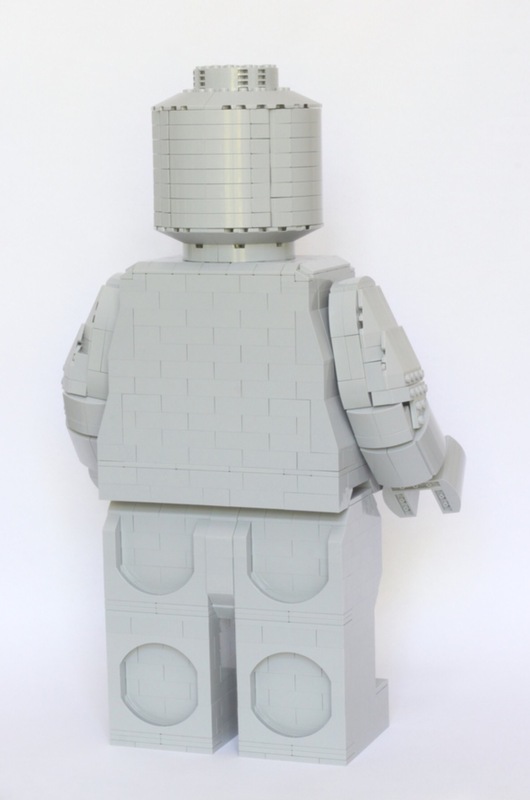 This “maxifigure” would be ideal as a display piece in your Lego collection. When I built this Lego “maxifigure” I really wanted to create a large copy of a minifig. I wanted to create a model that could be taken apart and be movable just like a real minifig. I also wanted to make a clean design by using only one color and reducing visible studs to a minimum. I hope you like this project and any feedback is appreciated. Please support and thanks for viewing! 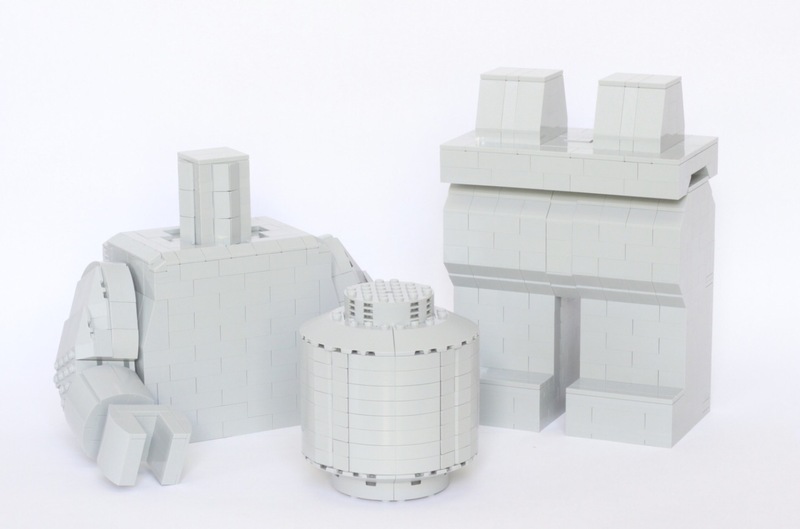 At the moment Brick Build Minifigure has just over 800 supporters – if you’d like to add your support you can do so here. I wouldn’t be at all surprised to see this project get to Review stage – fingers crossed! All images are (c) aukbricks.